Provo Bike Committee Chair Aaron thanked the council for their support last year noted that the Committee looks forward to their support this year–making the 200 East Neighborhood Greenway a priority as the city applies for CBDG funds. 7. It makes you feel like a rebel to know that the cold can’t beat you. 6. You never have trouble finding bike parking. 5. 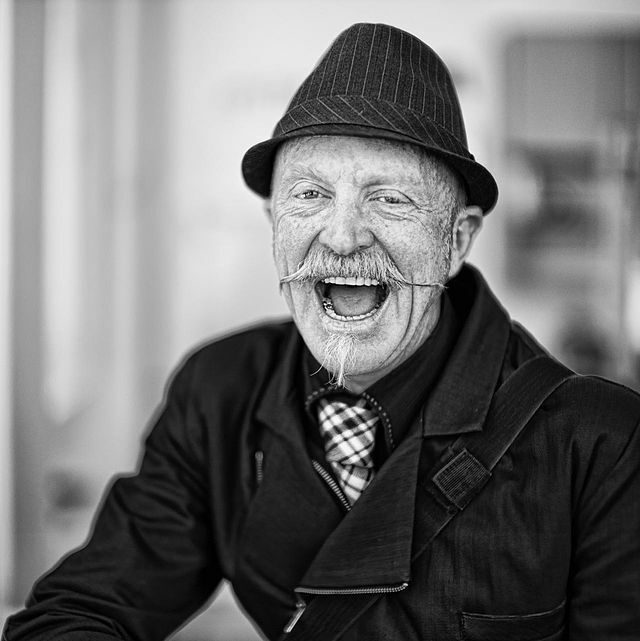 Friends and peers may think you are nuts, but they are secretly impressed. 3. You’ll be warmer riding your bike than waiting for the the car to heat up. 2. You won’t foul the air with your tailpipe emissions and you can easily earn of the mayor’s clean air pins. 1. Some days, it’s safer to walk or take the bus than to ride–doing so does not make you any less of a rebel. After the presentation, Lexi was asked to make some remarks. She said she was honored but felt like she was not doing anything special, and asked the council and mayor to continue to provide support to create an interconnected network of bikeways so that bicyclists could get places safely. 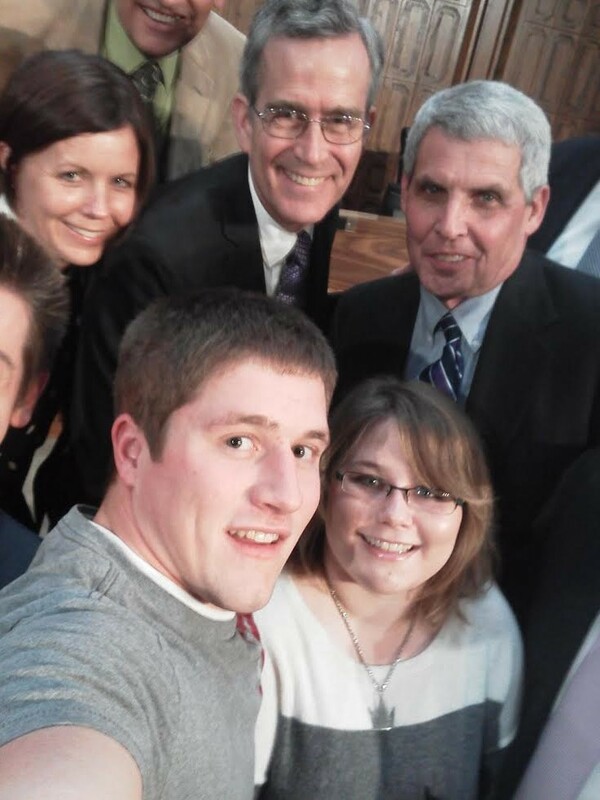 Thanks for your dedication and example, Lexi! Congratulations! 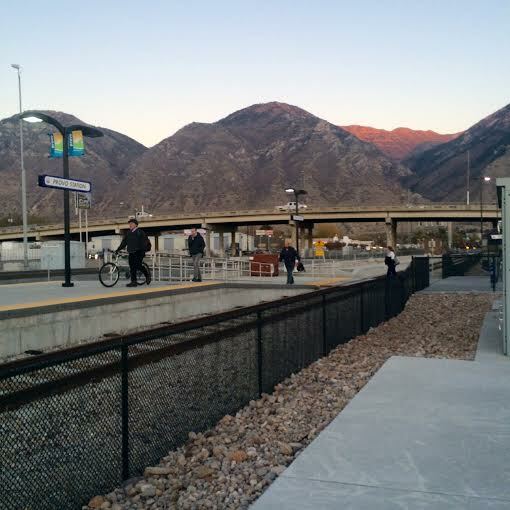 This year, the Utah Transportation Authority wants to put in new bike lanes and lockers in places that connect to FrontRunner or Trax stops. Please let them know where you’d like to see these lanes and lockers by making a comment on their one-question survey. If you’d like, you can also add photos or mark locations on their map. – 600 South (the street to the North of FrontRunner) feels particularly dangerous as cyclists and pedestrians approach the station. Although there seems to be a lot of excess gravel and weeds on the side of the road, there is essentially no shoulder and no sidewalk. – Additionally, the overpass bridge on University Ave. is extremely dangerous to cyclists and has such narrow sidewalks that two pedestrians can’t even cross each other without one stepping into oncoming traffic. Cyclists have very little shoulder to work with and the overpass is not designed in a way that encourages cars to anticipate cyclists on the road. – Often, cyclists coming from downtown Provo miss their FrontRunner trains because they get stuck behind the flashing train crossing arm while other cargo or Amtrack trains cross (often sitting on the rails at the intersection ten minutes). Cyclists must choose whether or not to go all the way around and over the bridge to catch the train on University Ave. Many cyclists have reported waiting in front of the tracks for a significant period of time and watching as their trains leave without them. Certainly, your experiences will give you additional ideas for Provo areas that need connectivity. Please help out our city by taking the survey as soon as possible and passing it along to your friends. Also, be sure to click on “Feedback” and hit the “Support This Suggestion” button below Provo suggestions you agree with. 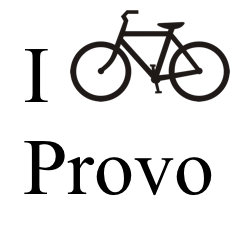 Let’s make sure Provo’s voice is heard.